It is 1998. In the safe haven of her London office--a room her husband jokingly calls "The Delivery Room"--therapist Mira Braverman listens to the stories of her troubled patients, including an aristocratic woman going through an intense infertility drama, an American journalist who is eager to have a baby, and an irritable divorc who likes to taunt Mira about her Serbian nationality. As the novel unfolds, Mira discovers she is not as distant from her patients' pain as she might once have been: her husband Peter struggles with illness, NATO's threats against her country grow more serious, and submerged truths from her own past seem likely to erupt. 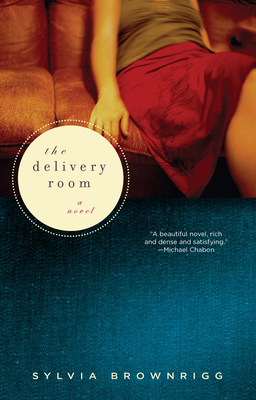 Compelling, complex, and always deeply human, The Delivery Room is an engaging examination of the incomplete understandings that course between therapist and patient, and a set of variations on the theme of motherhood--as well as a timely meditation on the meanings of wars fought from a distance, when ordinary citizens have to measure their personal griefs against the outrages experienced by those under attack.